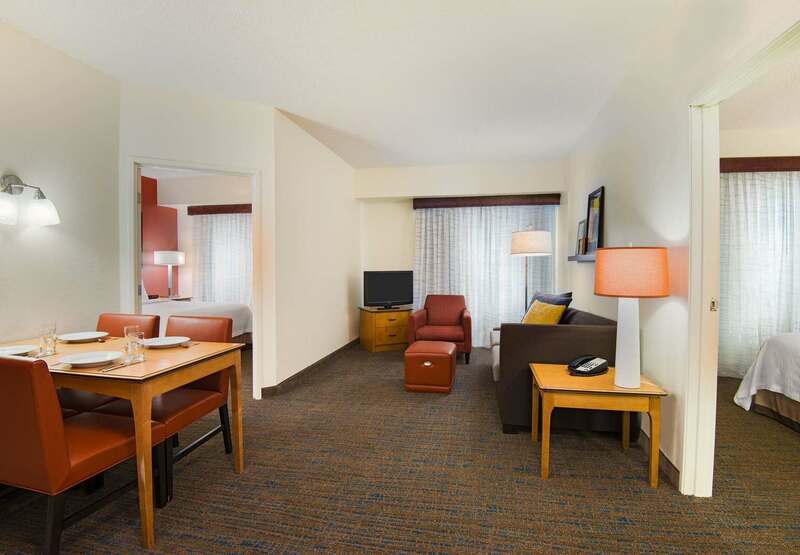 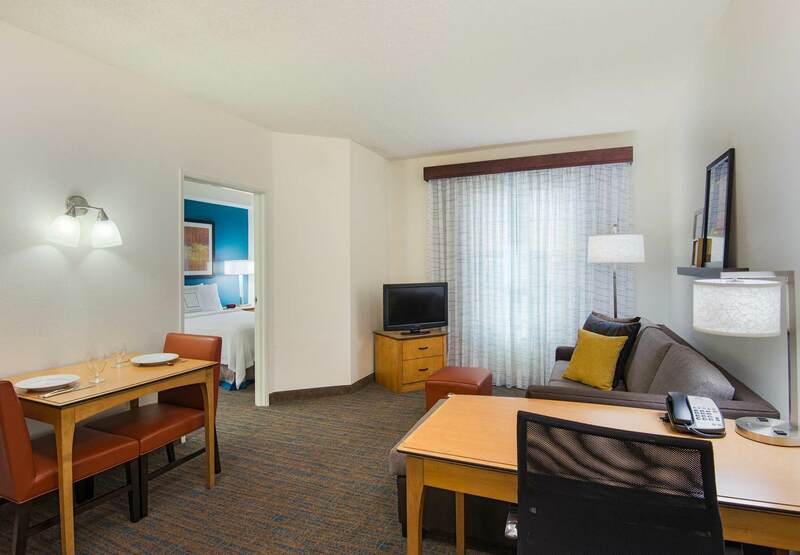 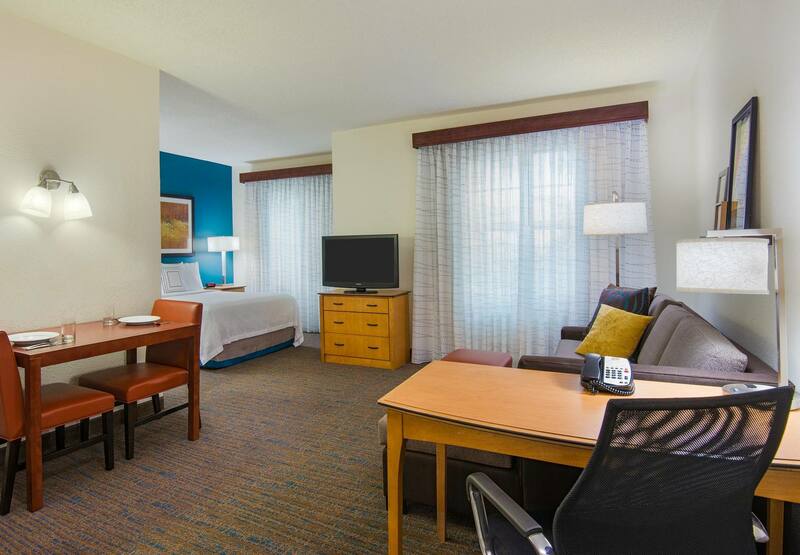 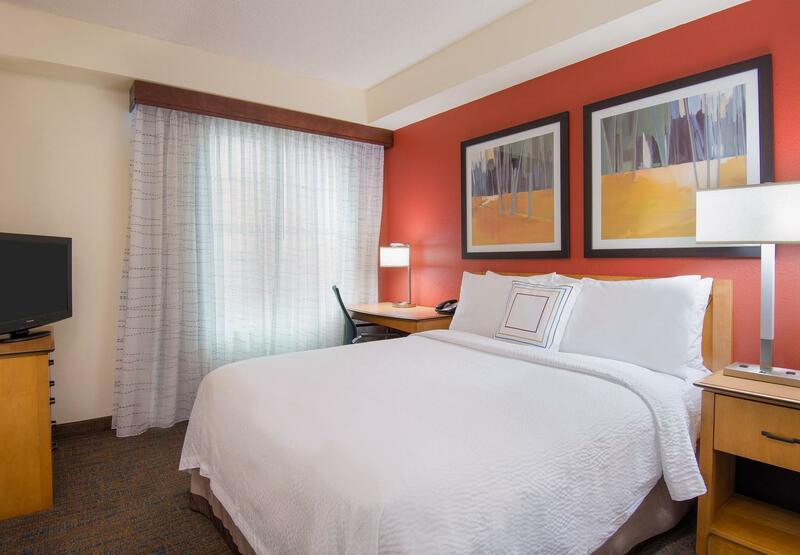 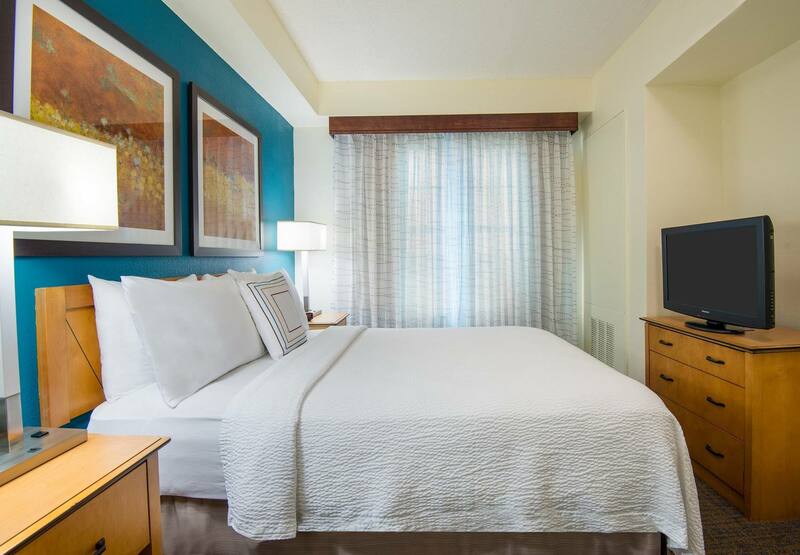 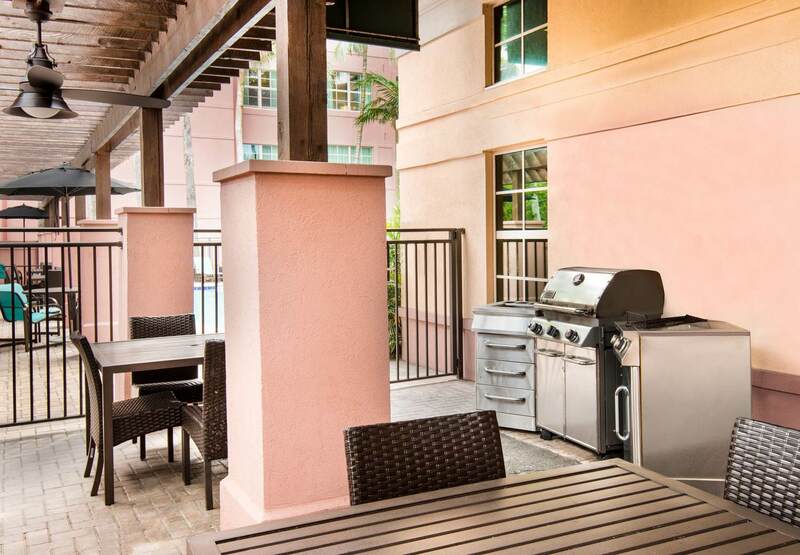 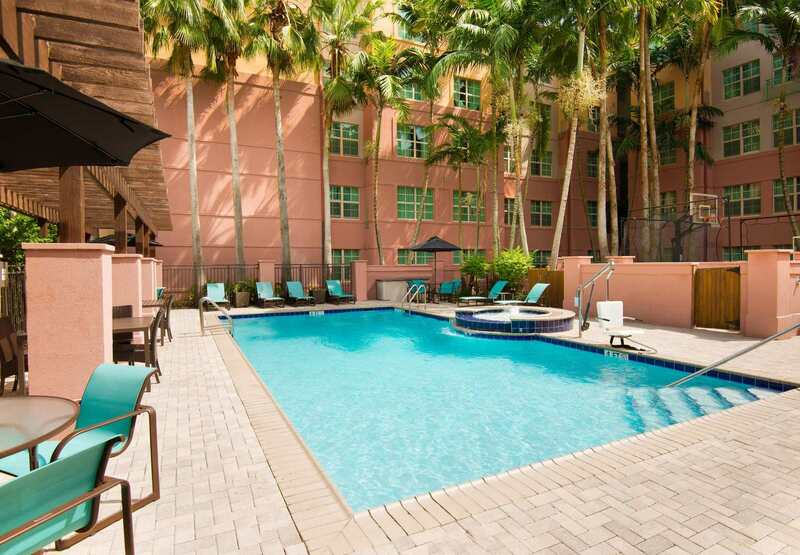 Style and Space- The Residence Inn Miramar hotel is centrally located between Fort Lauderdale and Miami airports, just east of I-75. 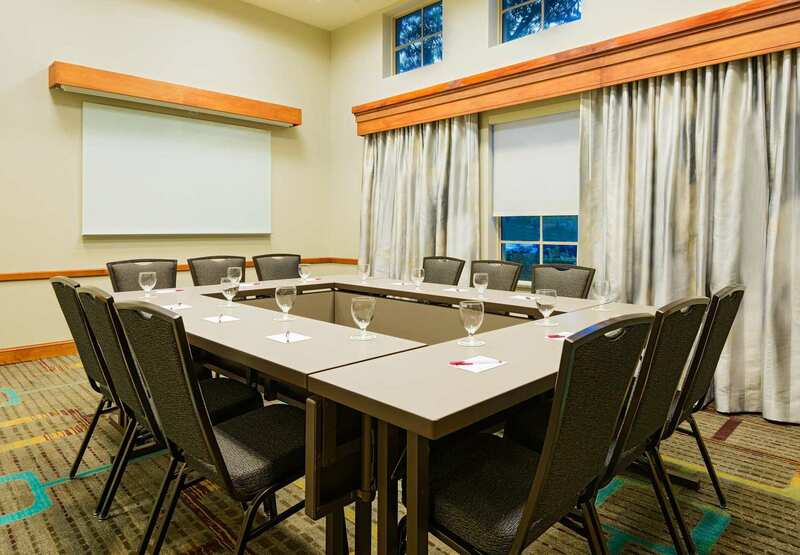 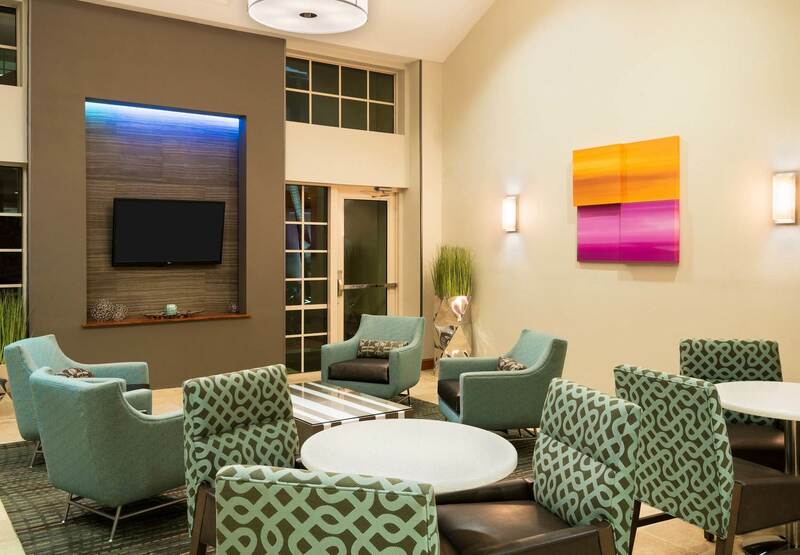 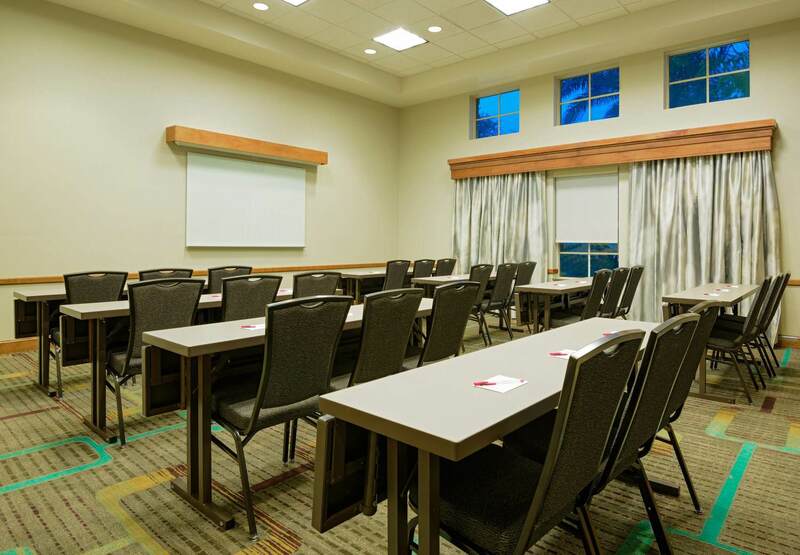 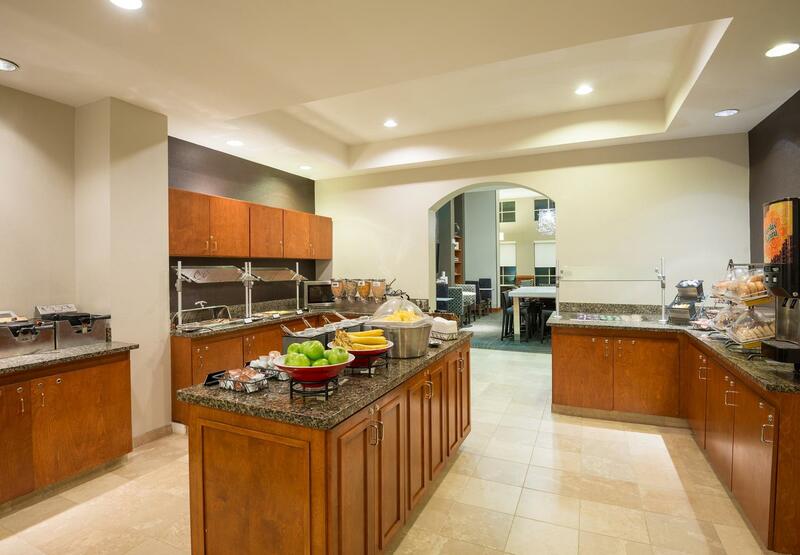 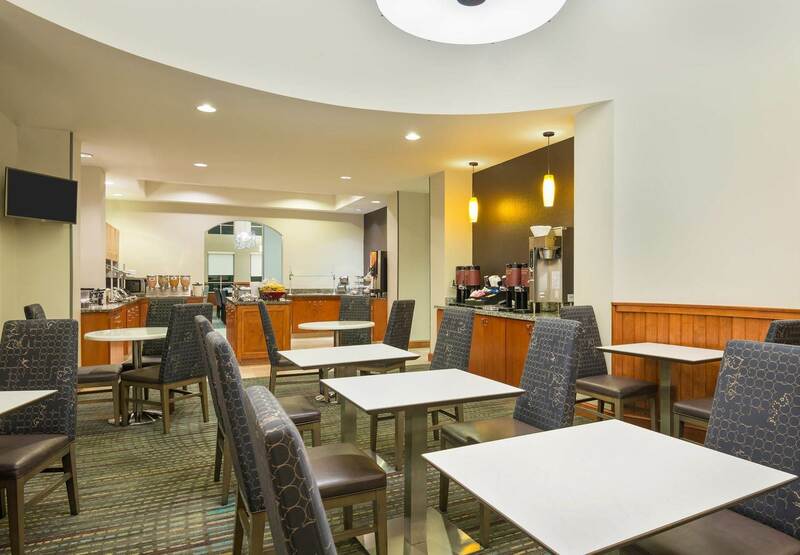 Our extended-stay Miramar hotel is perfect for business or leisure travelers by offering the amenities they need including a free hot breakfast buffet served each morning, free WiFi and tons of other perks. 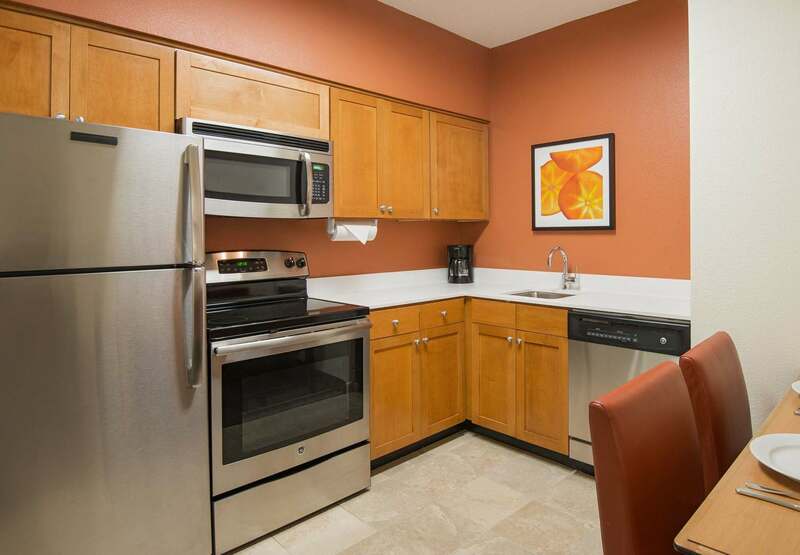 Each apartment-style suite features stylish décor, a full kitchen, flat-screen TV, free WiFi and even a free grocery service. 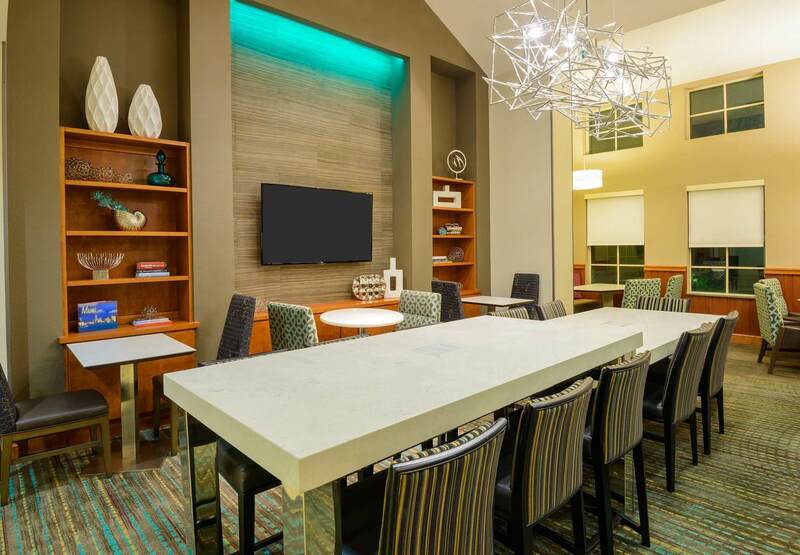 If guests are looking to mingle, they can enjoy our free evening social (Mon-Wed) with appetizers and free beer and wine. 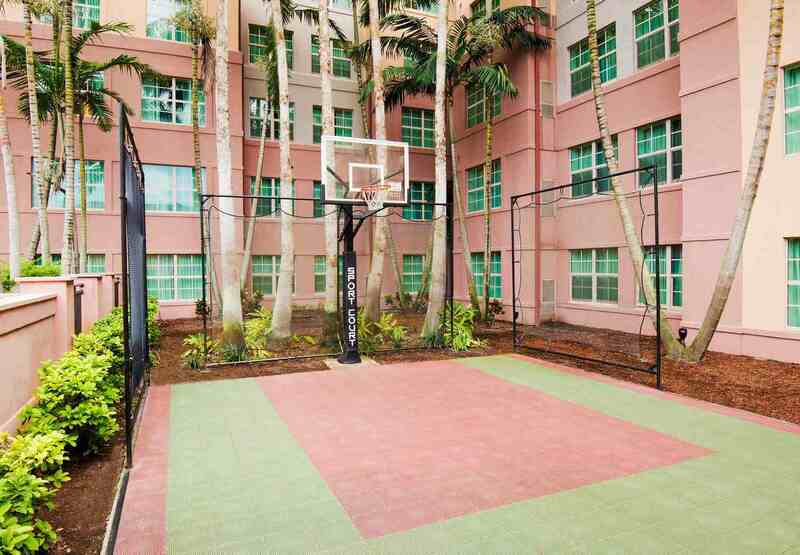 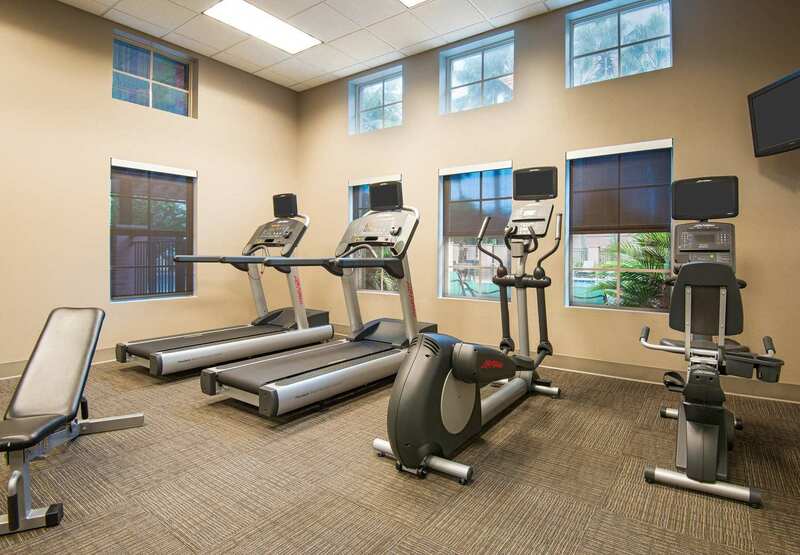 Guests can maintain a healthy lifestyle with a workout at our outdoor basketball court, pool and 24-hour gym. 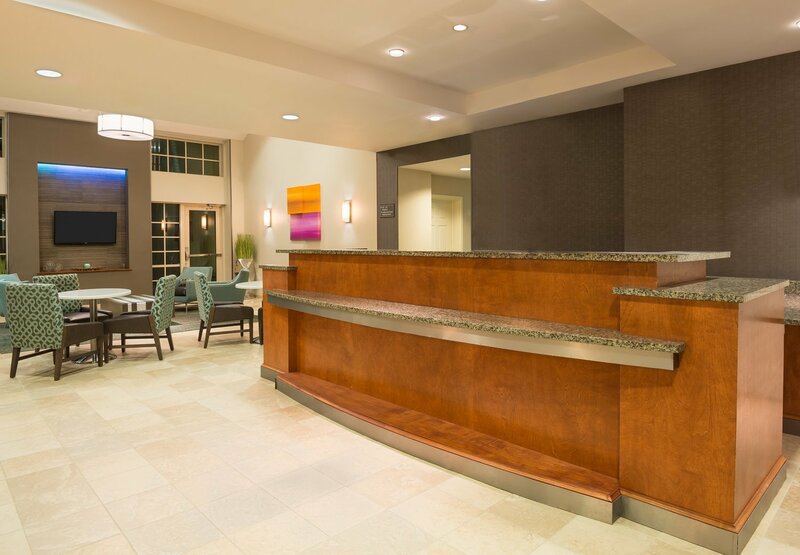 The Residence Inn Miramar provides convenient access to other South Florida businesses and attractions such as FBI South Florida Head Quarters, Royal Caribbean, Carnival, Downtown Miami, Hard Rock Stadium, Port Everglades, Port of Miami, Fort Lauderdale Beaches, Pembroke Pines, Weston, Sawgrass Mills Mall and Dolphin Mall.